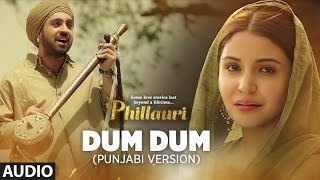 Dum Dum (Punjabi Version) Lyrics from Phillauri starring Anushka Sharma and Diljit Dosanjh. The song is sung by Romy & Vivek Hariharan while lyrics are by Shellee. Chitt lagda naa ve jogiya..